4 Days old and the milk is in. Continuous skin to skin in bed with mother. 1. Start with giving the birthing woman antibiotics in high doses so that the baby develops candida (thrush) and colic. Then mix in a lot of stitches, either to repair the perineum or the lower belly/uterus. 2. Separate the mother and newborn. Make the mother walk a long distance (with her stitched body) to be able to see/feed her newborn. 4. Discourage sleeping together as a family. Don’t let her know that lying down to nurse will enable her (and her partner) to get much more sleep. 5. Tell her that the baby is not getting enough milk and don’t give her the tools to increase her supply. 6. Scare her into thinking that her instincts about caring for her baby are not to be trusted and that she should listen to professionals for all things to do with her baby’s health. 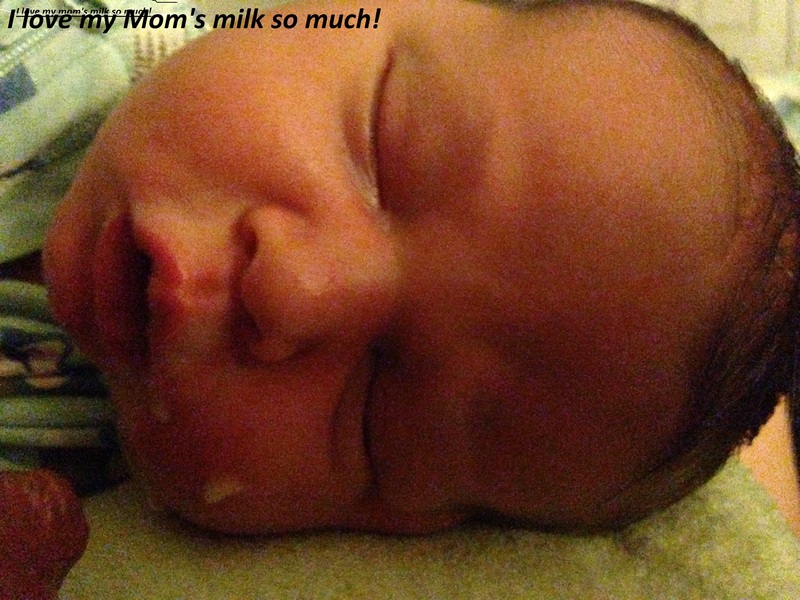 This entry was posted in Homebirth, Newborn care and tagged breast feeding, infant, newborn, nursing, parenting by Gloria. Bookmark the permalink. Then make her bundle up the baby and cart it in to the doctor’s office every two days or so to be weighed so she cannot rest or relax, then tell her the baby has lost 11% of its birth weight and needs to have supplemental formula until her milk supply increases! As ever you are spot on, and this was shared on the BrightBlessings facebook. Thank you for this Gloria!